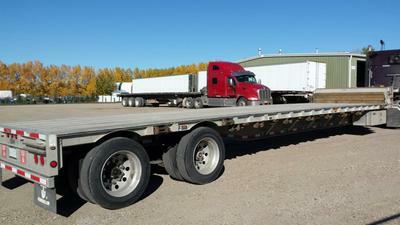 All aluminum 48' Step Deck Tandem. 11' kick 37' deck. 9500 lbs GVW. 2 tool boxes. 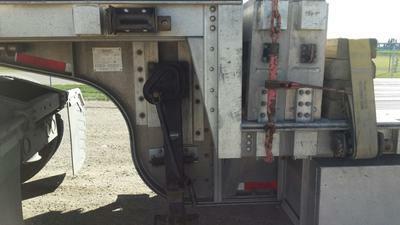 Comes with 2 load bunks. 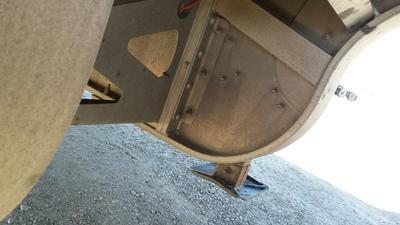 Lift axle. 60" Tandem Spread. Current safety ready to work right away. Join in and write your own page! It's easy to do. How? 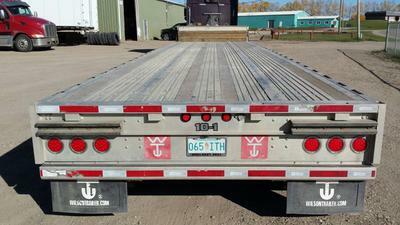 Simply click here to return to Used Trailers For Sale.